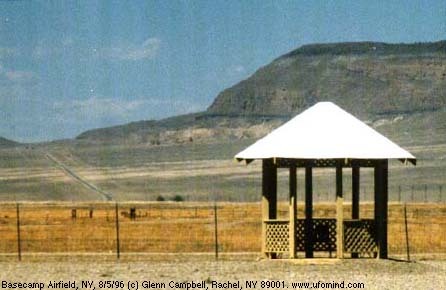 Basecamp Airfield is an auxiliary airstrip and support facilities adjacent to Route US-6 about 10 miles northeast of Warm Springs. 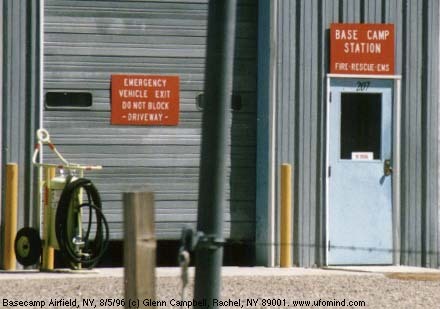 This is a "secret" facility in plain sight: Signs on the fence say only the "U.S. Government" owns the facility, and personnel there will not divulge any further information. 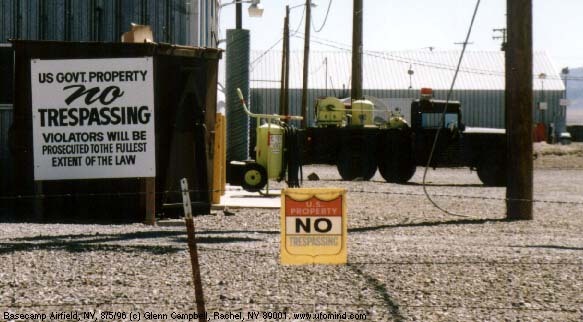 Circumstantial evidence indicates this facility is operated by a government contractor on behalf the Air Force Flight Test Center, probably in support of testing programs at Area 51. 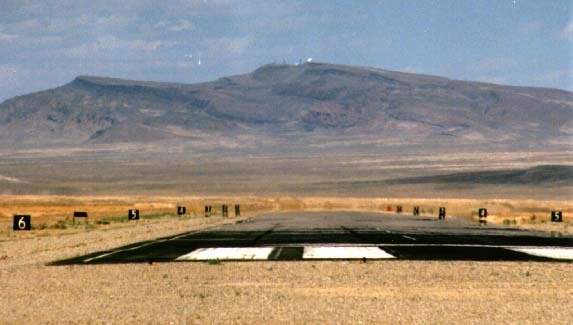 Basecamp is in line with the runway at Groom Lake, making it a possible emergency field for aborted take-offs of test aircraft from there. See Basecamp page for more information on facility. 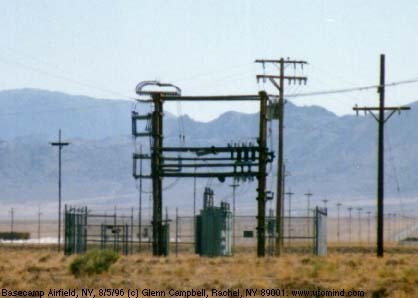 Below are photos of Basecamp Airfield and Halligan Mesa radar site north of Warm Springs on US-6 in Nevada. 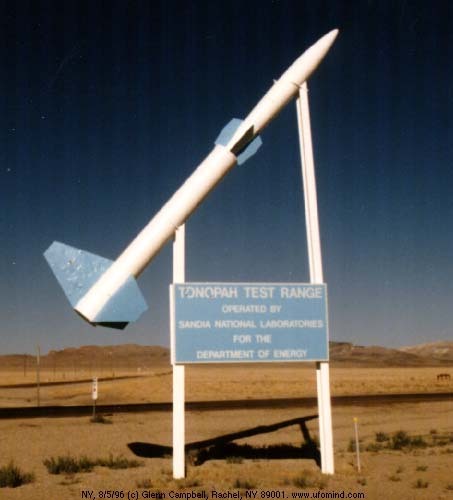 Also included are two photos of US-6 near the Tonopah Test Range. 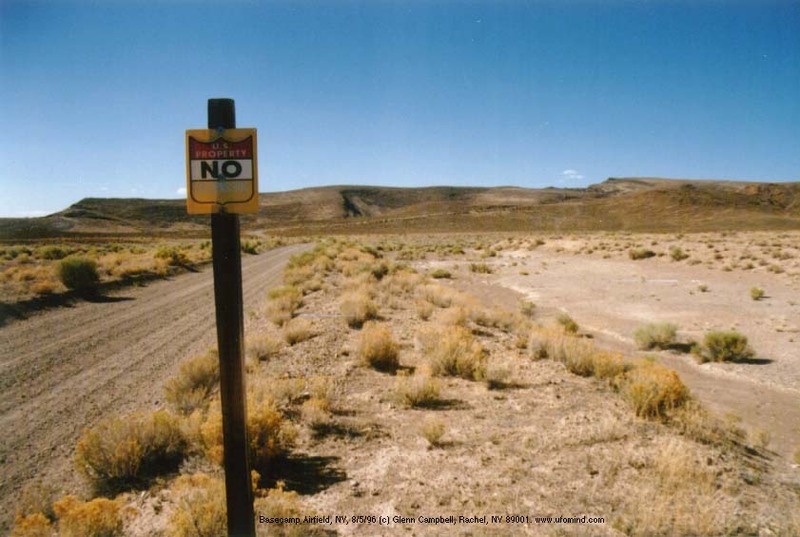 Copyright is asserted on all photos; they may not be copied or reproduced without permission. 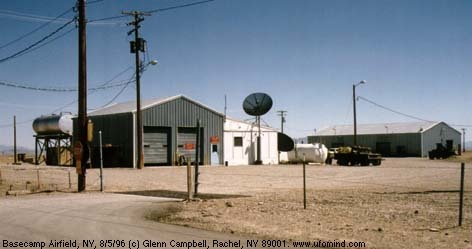 The old Tonopah Army Airfield, now the municipal airport for Tonopah, is located at Milepoint 8.8 on US-6. 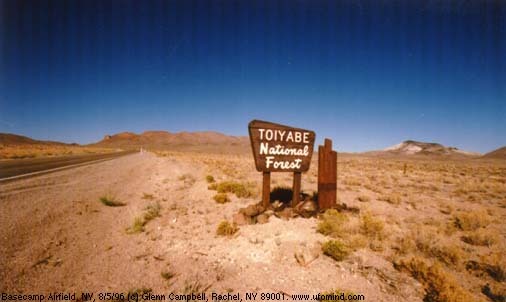 The unpaved road to the TTR main gate from the east leaves US-6 at Milepoint 38.7. 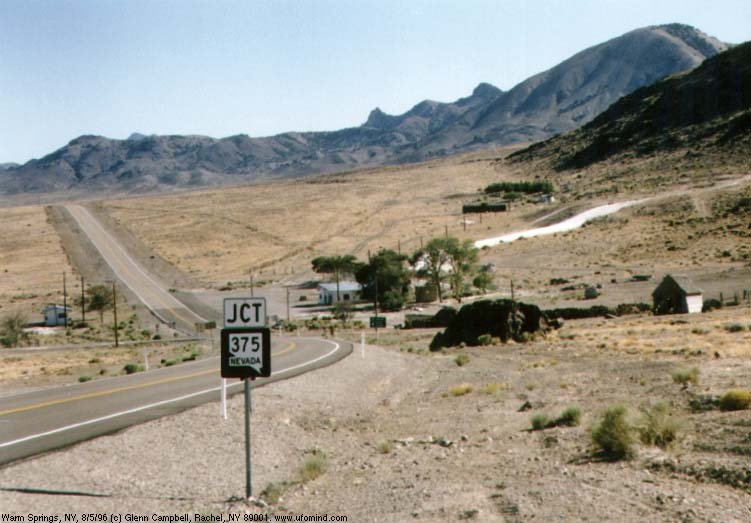 The road is marked "Silver Bow/Golden Arrow." GPS: 3808.944'N, 11634.724'W. 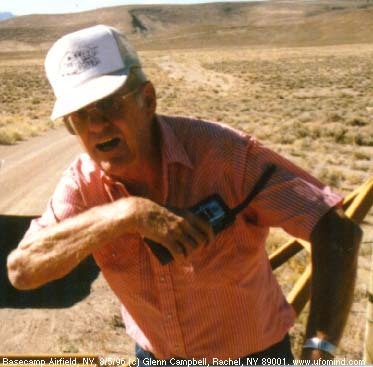 I lived on a ranch near Base Camp, and I was struck by how weird the people who worked there were. 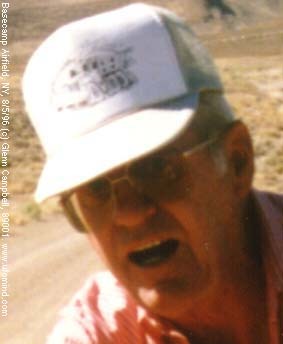 We used to go the bar at Warm Springs, and I met the previous troll. 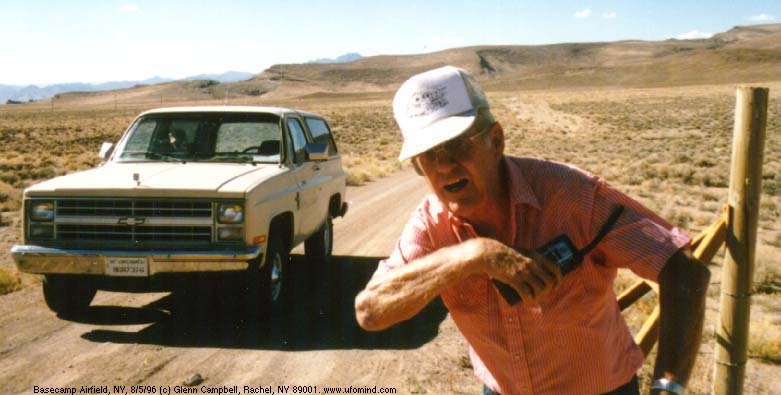 He was real tight lipped about what he did, a big secret. The locals didn't go near there. 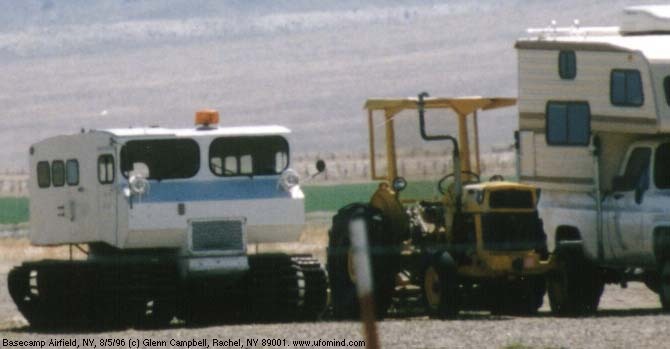 When riding in the valley near the big radar I saw VERY strange planes flying by. 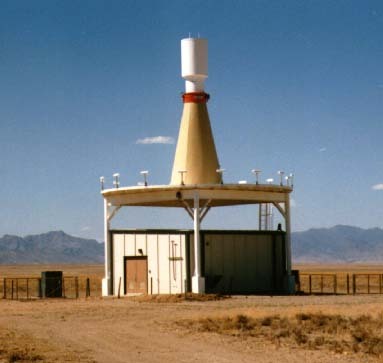 Most VORTAC/VOR-DME stations vary in design, but this is a classic one. 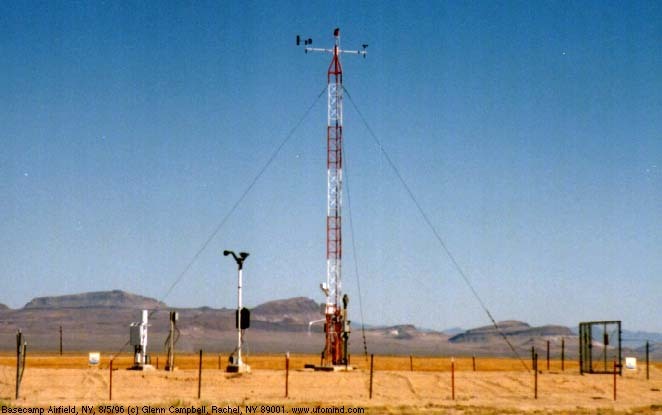 The VOR segment is the raised platform with the small rectangular antennas on it, it can be used by civilian aircraft. 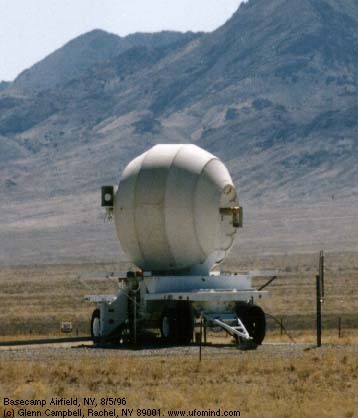 The DME (Distance-measuring equipment)segment is the conical antenna above. 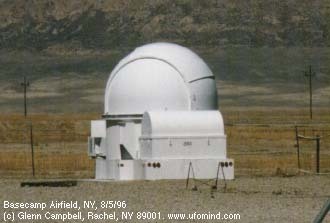 The Cylinder on top of the whole deal is the military TACAN. I recieved an email regarding my last comment on this page. The dickhead who sent it asked me if I am a 20 year staff sergeant and if I am proud of washing out of GAC. To answere your questions: I have only been in 26 months and yes I am glad I washed out of GAC, I didn't want to work on airplanes. I now have an awesome job in networking. I am much happier here than I ever would have been working on planes.